The Appraisal Journal Online, Spring 2018 | Is.I.V.I. 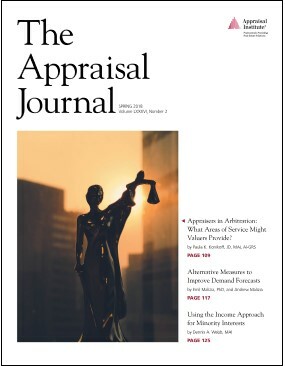 The Spring 2018 issue of The Appraisal Journal is now available online! Paula K. Konikoff, JD, MAI, AI-GRS, outlines ways in which valuation professionals can apply their knowledge and experience as an expert valuation witness, arbitrator or consultant in arbitration. 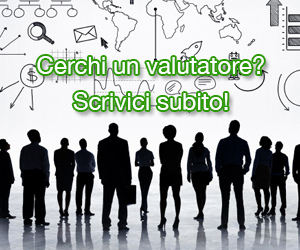 The article emphasizes the importance of clarifying the role of the valuer at the outset because each role connects to distinct functions, responsibilities and professional standards. Emil Malizia, Ph.D., and Andrew Malizia, present a dynamic method to adjust long-term economic forecasts for metro areas that are in flux. The adjustments provide a more accurate picture of local employment growth, which is tied to market demand. Dennis A. Webb, MAI, discusses methods of valuing undivided interests in real estate, specifically the discount for lack of control that applies for minority holdings in partnerships. The model presented in the article enhances existing approaches and bolsters partnership interest appraisals. Also make sure to check out Cases in Brief, Resource Center and Book Review! Every Appraisal Journal article is also available through the Appraisal Institute’s Lum Library.